As Athletic Director Chris Lahm told the OCC student body, "It's a great day to be an Ambassador!" 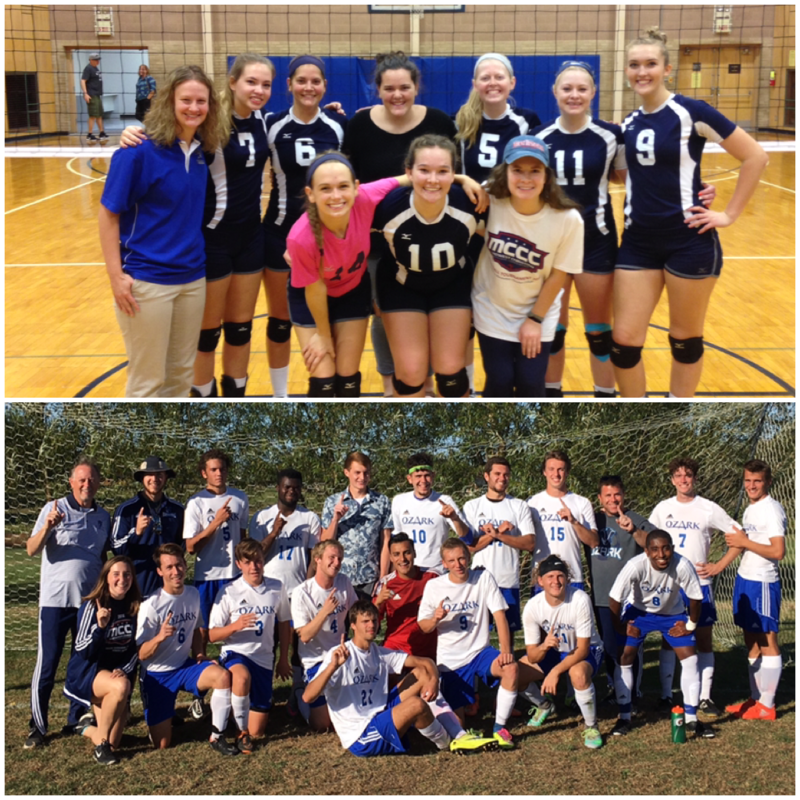 Last weekend, Ozark's women's volleyball and men's soccer teams both played in the Midwest Christian College Conference Tournaments...and both emerged as conference champions! Entering as underdogs, the Lady Ambassadors made it through their tournament bracket, upsetting Manhattan Christian College on their home court to make it into the championship match. There, OCC faced Emmaus Bible College, and after five close matches, Ozark came away victorious. OCC's Whitney Matlack recieved 1st Team All-Conference, and Brittney Stone received 2nd Team. The men's soccer team had a different road to the title, entering their tournament ranked first in the conference. OCC faced Manhattan in the championship game and defeated them 1-0. Six of OCC's players were named All-Conference: Lauro Soto, Sully Smith and Nick Cannon received 1st Team, and Skyler Davis, Austin Sather and Andre Souza received 2nd Team. A great day to be an Ambassador, indeed!